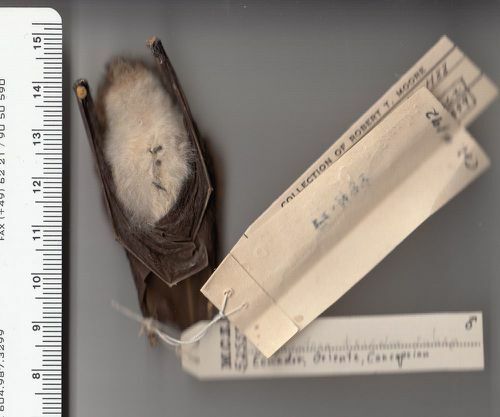 Velazco, Paúl M., Renato Gregorin, Robert S. Voss, and Nancy B. Simmons, 2014: Extraordinary local diversity of Disk-winged Bats (Thyropteridae: Thyroptera) in Northeastern Peru, with the description of a new species and comments on roosting behavior. American Museum Novitates, no. 3795. 1-28.